I always find it hard to hunt down a good hydrating mask for those of us with dehydrated and dry skin. I think that the majority of brands tend to target masks towards those with combination to oily skin types which is great but they don't benefit the dehydrated parts of my skin. I used to have quite oily skin but in the past year or so my skin has become more dehydrated with my nose area still being an oil slick. It has been a struggle trying to find masks that have worked and aided my dehydration however, I have found four which beat the rest of them. This is the only sheet mask that I've included within this post purely because it's the only one that I've noticed a difference with, it's brilliant! It's packed with nutrients, including pomegranate extract, hyaluronic acid and plant serum which all help in making your skin more moisturised, smoother, bouncier and healthier. You leave the sheet mask on for around 15 minutes, then remove and massage in the remaining sebum which may be left on your face. I love massaging in the excess sebum in because it absorbs quickly and you can instantly feel the benefits of the mask by the way your skin looks and feels. The mask works wonders for me giving me instantly re-hydrated skin as well as leaving me looking radiant and glowing. I recommend picking this mask up whilst it's on offer, and stocking up because otherwise, it can become a pretty expensive habit of one mask costing £2.99 a go. But, it is totally worth it! This is quite possibly the cheapest mask in a tube, I've ever tried, that works brilliantly. It contains hyaluronic acid, marine collagen and vitamin E which all contribute to keeping the skin in a good, healthy, moisturised and elasticized condition. It is quite a thick cream which does dry down, if you leave the mask on for long enough and it can leave your skin feeling tighter but not in a sense of being dry. I like to leave it on for a substantial amount of time to allow all of the nutrients to absorb into the skin. When it comes to removing the mask it's pretty simple to do and your skin instantly feels plumper, tighter, hydrated, moisturised, smooth and just healthy in general. This mask is definitely a dupe for the Decleor one that I've also mentioned in this post, however, the price difference is remarkable. Therefore I'd recommend trying this one first before you spend your pennies. If you've ever smelt Dermalogica's products before then that is exactly what this mask smells like, very natural, fresh and spa-like. This mask is enriched with grape extracts, vinolevure, grape seed oil and hyaluronic acid which all have different jobs within this mask from antioxidants to strengthening, nourishment and moisturising. You apply this all over your face and neck for 15 minutes then you wash off the excess which is left on your skin. It also recommends to use this as an overnight mask, however, in my opinion, the mask is too thick in consistency to do that as it doesn't all sink into the skin. I was expecting the mask to absorb into the skin, however, I feel like only a small portion does, but that small portion packs a punch! After I've used the mask I can tell what an impact the vinolevure, as well as the hyaluronic acid, have made as my skin feels greatly smoother and plumper alongside feeling hydrated. When I use this mask I tend to target it just on my cheek areas because it does an amazingly good job at hydrating them as well as making them feel healthier. However, I would say that the other three masks I've mentioned do do a better job at hydrating the whole of my face. This is possibly my favourite face mask I have ever tried, used and tested. 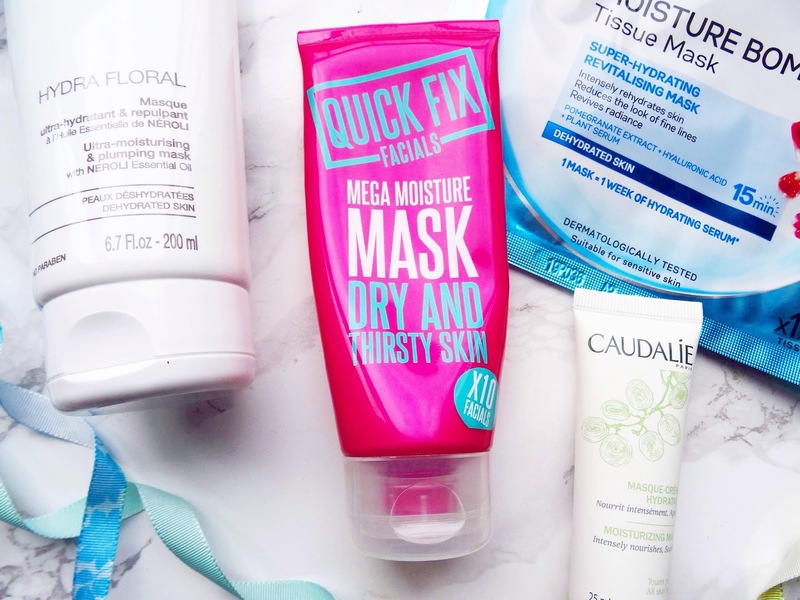 It is on the pricier end of the spectrum but if you are in the market for a hydrating face mask then this one is definitely one to pick up. There are four active working ingredients within this mask and those include hyaluronic acid, wild pansy extract, samphire extract and neroli extract oil. The wild pansy extract is the key within this mask that helps to instantly plump the skin, helping you to combat fine lines and wrinkles. Not only does it plump the skin, making it look younger and healthier the mask does an incredibly good job of hydrating the skin as well. When you apply the mask to your face I advice massaging it in until it goes clear in colour because that's when the mask melts into an oil, allowing the active ingredients to absorb into the skin. I tend to leave it on for around 20 minutes, wash it off and my skin feels much smoother, soft to touch, hydrated, plump whilst the lines I have on my forehead look more evened out. My skin feels marvellous once I've used this. Those four masks do all range in price but I definitely think they are all worth a try. 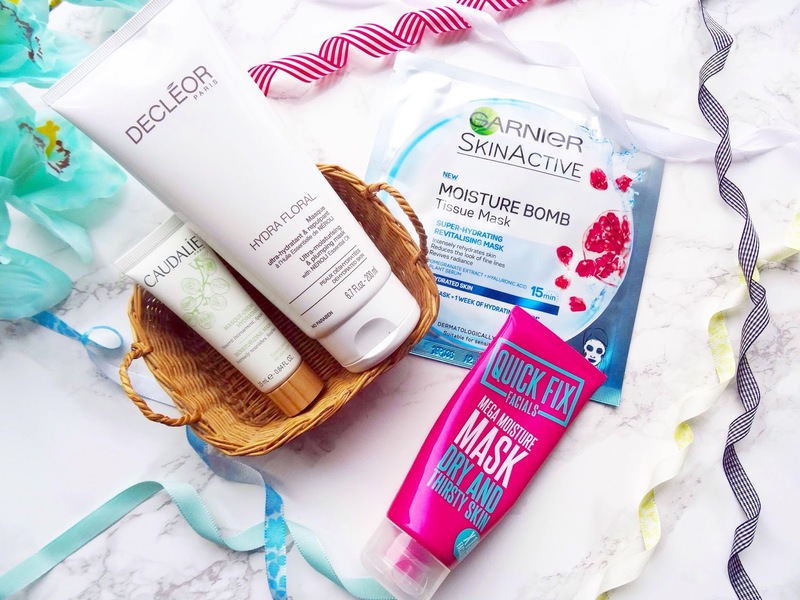 If I had to pick one from this post to recommend I would have to say the Decleor hydra floral mask it's so luxurious. These are the best four masks that I have tried so by no means is 6 a bad score as the majority of the ones I've tried have been around a 2! 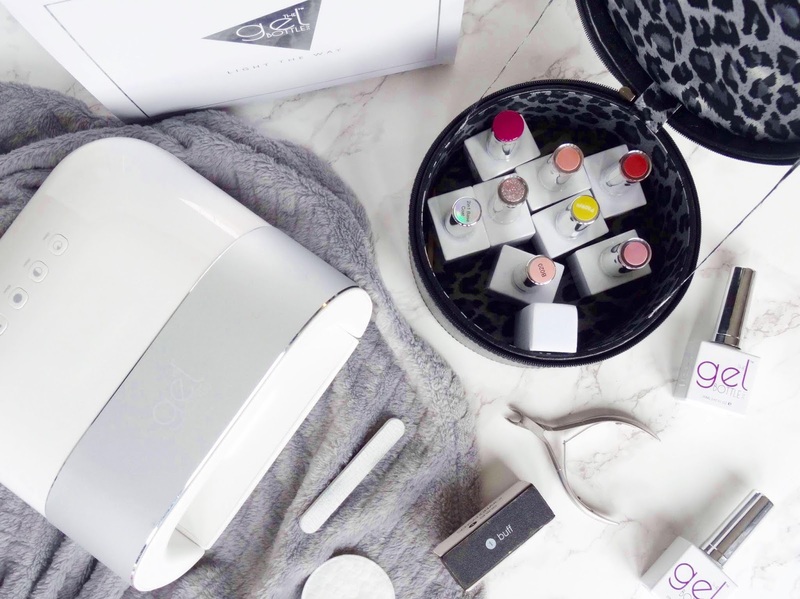 So, have you added any of these on to your wishlist or have you tried them before? Thanks for reading.